There’s an essential “something” to achieving peace with technology. And it’s as much about people as it is about technology. Welcome back to the Systeem Blog where you can find nuggets useful in achieving peace with technology. I’m your host and physician practice technologist Michael Patrick. Today’s post is the first in a 3 part series on something that is essential to achieving peace with technology. Before we reveal that essential “something”, let’s bring some color to why achieving peace with technology is important. And it’s really rather simple: achieving peace with technology creates freedom and focus for you to fulfill your primary purpose of supporting clinicians, serving patients, and leading your team to do the same. Ok, back to the essential “something”: trust. 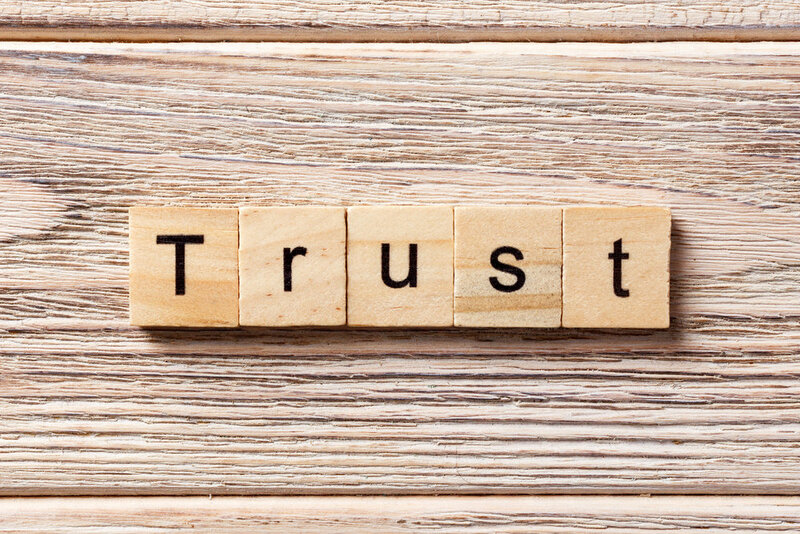 Dictionary.com defines trust as reliance on the integrity, strength, ability, surety, etc., of a person or thing; confidence. Another way to view and understand trust is with a simile. Like wind, trust is not tangible in and of itself. But we can experience the impact… good or bad. Additionally, while we cannot actually see it, we know when it’s there and when it’s not. I think of trust primarily as an emotional commitment people share with each other. Trust occurs when you decide to give away your control over something to someone else. When it comes to technology, it seems like our trust can be quickly violated, first by the failure of the technology itself, then sometimes by those on whom we rely to fix it. Nonetheless, make no mistake that trust is essential in achieving peace with technology. Why? Let’s unpack that with a short story. Recently, we engaged a practice in a certain level of what we defined as “white glove” support service in troubleshooting some hardware and network issues. While this “white glove” service was delivered with great personal care and technical excellence, it wasn’t exactly valued as “white glove”. It was early in the relationship and we had not yet learned that a key team member valued limited, direct personal involvement in the troubleshooting and correction process. While she appreciated the spirit of the hands-on personal approach, it was not her preference to be that involved. She simply wanted to communicate the problem and be alerted when it was solved. Fortunately, we created an expectation encouraging open and honest feedback. More importantly, the people leading the practice trusted in us (and their own decision to choose us in the first place) enough to provide that feedback about the missed expectation. Better yet, they then chose to afford us the opportunity to recommend and deliver on a pivot approach. Not only was a better outcome achieved in the end, but trust actually increased. How to treat a missed expectation as an opportunity to make sure your priorities are clearly understood and properly supported by the people providing services in which you invest. Remembering to nurture your own culture as an open environment where feedback is encouraged early and often from all your key audiences… patients, clinicians, team. It was shocking to read about a recent research project where 80% of companies surveyed believed they delivered superior service, while only 8% of the people being served believed the same. Well, that’s a wrap for this first of a three part series on the essential nature of trust in achieving peace with technology. Again, I’m Michael Patrick, your physician practice technologist. I hope you are finding value in this new series. Keep on the lookout for part 2 coming your way soon.